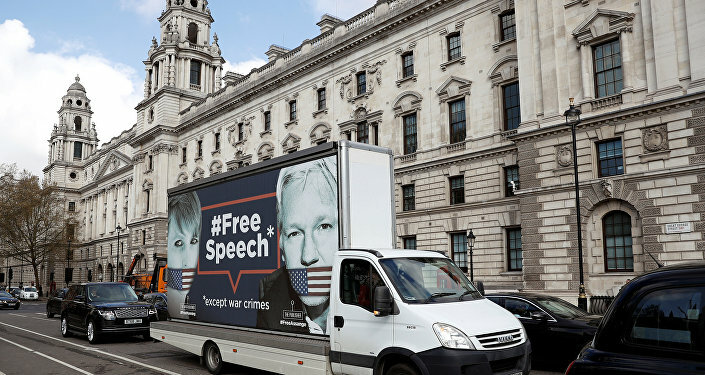 MOSCOW (Sputnik) - "Big European democracies" need to ensure the protection of whistleblowers at the moment and in the future, French Culture Minister Franck Riester told Franceinfo broadcaster on Friday, regarding the arrest of WikiLeaks founder Julian Assange in London. "What is certain is that at the moment and in the future, we, the big European democracies, have to ensure the protection of whistleblowers," the minister said. At the same time, he added that the French government "trusts the British to handle the case [of Assange] in court." Assange was arrested on Thursday in the Ecuadorian Embassy in London as Quito withdrew the asylum it had given the founder of the whistleblowing website. A UK court found Assange guilty of breaching bail conditions later on the same day and kept him in custody, while US authorities unsealed an indictment charging the WikiLeaks founder with computer intrusion conspiracy. WikiLeaks has famously published large troves of leaked documents, including some referring to US military operations in Afghanistan and Iraq, and conditions in the Guantanamo detention camp.